Adding trees to your landscaping can make a big difference in improving the appearance of your yard. They also provide a low maintenance option that provides aesthetic benefit without time-consuming upkeep. 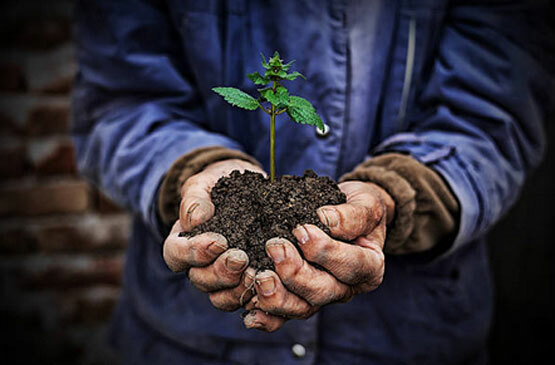 While a new young tree might be low-maintenance, it is important to remember that they will require basic care in order to ensure growth and maintain the health of the tree. – Check soil moisture to ensure there is proper drainage. Soil should be moist, but not wet or pooling. Laying down mulch around the base of the tree will help prevent weed growth and also help the soil to retain a greater amount of moisture providing a young tree with a better source for the nutrients needed to grow. A good layer of mulch will be around 3-4 inches thick and shouldn’t have direct contact with the tree. Make sure to pull any weeds or grasses from the area before mulching so that the tree is not forced to compete for moisture and nutrients. Tree pruning is most effectively done during the winter months when a tree is dormant and growth has slowed. Pruning allows you to remove any damaged or diseased branches that could put the rest of the tree at risk. Removing weak, sick, or hazardous branches will also help to maintain a safe environment around the tree for loved ones and property. Weeds and grasses will compete with a tree for water and nutrients found in shared soil. Make sure that you pull weeds consistently, keeping the base of the tree clear. This will give your young tree a better opportunity to strengthen and grow. Just as you want to keep the area around your tree free of weeds, you also want to keep it clear of yard waste and debris. Twigs, leaves, and flowers regularly fall from the tree and have a tendency to collect around the base of the tree. Clear away this debris on a regular basis in order to prevent disease or pest infestations. When doing yard work with trimmers or lawn mowers, make sure that you are careful to not cut into or hit the tree bark. A young tree that is cut or damaged will be more susceptible to disease, infestation, and poor growth. You can also protect your tree by not wrapping lights, rope, or other outdoor décor objects around the trunk; leaving these things tied to the tree for long periods of time can also affect tree growth. 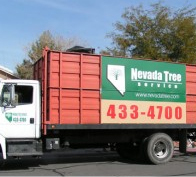 At Nevada Tree Service in Las Vegas, Nevada, we have provided high-quality tree care service since 1962. We have experience in caring for new, young trees to old mature ones and all ages in between. Call us today at (702) 433-4700 for expert young tree care service at an affordable price. Whenever you hire a tree service company to remove trees from your property, there is always the risk of damage or injury. 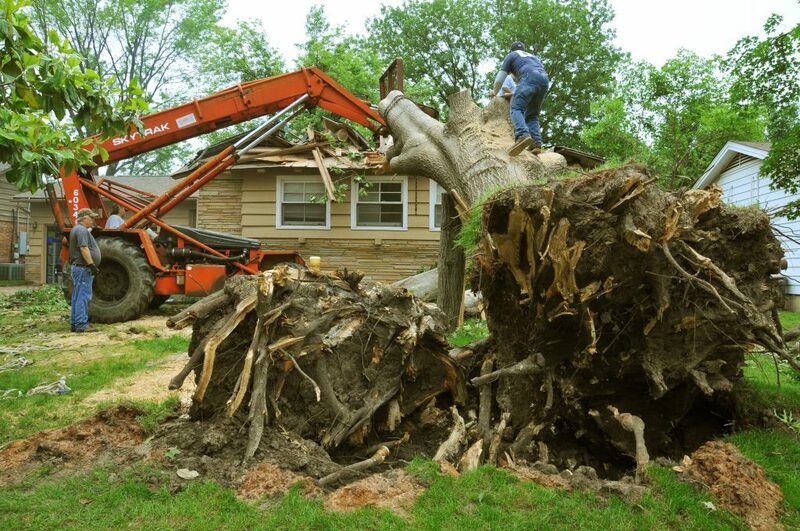 Trees are large and as such both homeowners and professional tree service companies cannot operate without the understanding that there is a possibility of damage or even injury to one or more of the workers in the process. It is important that you are well informed in case there is ever an accident on your property during a professional tree service. Before you hire a tree service company, it is important to check that the company has both general liability insurance and workers compensation. Both help to provide you with financial protection in the case of an accident during the tree maintenance, tree removal or any other tree service process. Worker’s compensation insurance will ensure that a worker is financially compensated in the event of accident or injury. Hiring a company with proper insurance helps to ensure that you are not financially liable. General liability insurance offers compensation for any damages to your property. In other words, if a tree falls and destroys a side of the fence, then the insurance company will pay for the damages. However, keep in mind that general liability insurance does not cover for worker injuries. If an employee of the tree service company is injured on your property and the company only offered general liability, you will then be required to compensate for those injuries. This is why it is advised to always ensure that the tree service company offers both types of insurance. What To Do If The Tree Service Company Does Not Have Workers Comp Insurance? If a worker is injured when tending to a tree on your property and you find that the company does not have workers comp insurance, you will legally be bound to pay financial compensation to the worker. Because the company that employed the worker is uninsured, you are essentially considered the employer by the court making you responsible for any injuries while workers are performing the task you have contracted for. The best way to protect yourself from potentially crippling financial responsibility is to ensure that the tree service company you hire is comprehensively insured. You can request to view their Certificate Of Insurance along with policy information to ensure that their insurance is both in place and in good standing. At Nevada Tree Service, we operate at the highest level of professionalism in order to ensure that you receive the highest level of service on any job including ensuring that our workers are covered and you are protected. Call our office today at (702) 433-4700 for detailed information on our insurance coverage. For young trees, water is important. They will need sufficient water to grow properly. Water heavily a few times a week, so the water will sink into the deep soil, encouraging deeper root growth. Adding mulch above the ground will also help to keep the soil from drying out in direct sunlight. Too much water, as mentioned above, can damage a young tree. The ground should be moist, but not soggy. Moist ground allows oxygen to pass through, whereas soggy soil will erode and take away important nutrients. After the first two years, a tree will be able to withstand periods of drought and it will become less necessary to water it regularly. Drought resistant trees are a good option if you live in a consistently dry climate. Tree care in Las Vegas might be more difficult than in southern California, for example. Soaker hoses and drip irrigation systems are particularly useful in keeping the soil moist and oxygenated but also nutrient rich. Sprinklers are also good at keeping the entire lawn watered, allowing the tree roots to spread far throughout the ground. Watering the leaves of fruiting and deciduous trees could damage the fruit, encouraging the growth of fungus or disease. Water does the most use within the roots. For more information about tree service las vegas and other related services, consider contacting a tree service in Las Vegas. Nevada Tree Service can help you with all of your tree care needs. Proper pruning makes the difference between a beautiful landscape and one filled with tangled branches. Aside from aesthetic appeal, tree pruning results in vigorous new growth that keeps trees healthy and vibrant. Tree care also ensures safety by removing dead or broken branches, which are otherwise a safety hazard since they can fall on people, power lines, or your home. Prune during the dormant season. While you can technically invest in tree care at any time, it’s more effective to prune a tree when it’s dormant. This results in explosive new growth during the following spring. If you prune during the summer, then wait until the season’s growth is finished so you don’t “dwarf” the growth of the tree. Invest in proper equipment. From scissor anvil pruning sheers to scissor action lopping sheers, it’s important to invest in equipment for the task at hand. While anyone can research and practice the rules of pruning, using the correct tools is paramount to success. This also ensures safety and a job well done. Target V-shaped branches. In general, V-shaped branches are the weaker ones that should be eliminated. Keep U-shaped angles, as these are strong and likely to grow. Furthermore, maintain the ratio of living crown to tree height above two-thirds. If you’re not sure which branches to eliminate while tree pruning, target branches that cross other branches or otherwise obstruct them. With so many considerations, techniques, and equipment necessary for proper tree care, it’s important to consider hiring a professional tree service in Las Vegas. Not only is it more time efficient, but it’s also possible to save money in the long run while ensuring the greatest tree care possible. Contact us today to learn more about tree care and what Nevada Tree Service can do for you. Improved curb appeal. Beautifully manicured yards could be the determining factor in whether or not a prospective buyer considers purchasing your home. Cost-savings. Strategically positioned trees block sunrays from overheating the home, which results in lower cooling costs. Safety. Trees should be planted at a safe distance from the home to prevent potential structural or foundational damage as the tree grows. Can you provide a current certificate of insurance? Business license? It’s important to remember that tree trimming and tree removal are extremely dangerous tasks, susceptible to accidents and equipment malfunction. Well-equipped and experienced professionals are necessary not only for safety, but also for a quality job. Ensure you’re working with a legitimate and reputable business. What equipment will you be using? A professional tree service in Las Vegas should follow the laws set forth by the Occupational Safety and Health Administration (OSHA). Hard-hats and other professional equipment are required on-site to increase safety. Additionally, ask what tools will be used for each task. For instance, “spikes” should only be used for tree removal, not tree trimming, as they can create unhealthy wounds in the tree trunk. Can I get references and an estimate? Before hiring a tree service, always ask for references. This allows you to speak with previous customers and gauge their satisfaction with the tree trimming and tree removal services they received. An estimate in writing also provides you with a realistic expectation for the price you should pay. At Nevada Tree Service, we’re passionate about your satisfaction and the health of your landscape. Contact us today to learn more about our complete tree service offerings. It is that time of year again. Your trees are about to start blooming and spring is in the air. It is the perfect time to Prune your Trees. The best time is right after the coldest part of winter and before they start blooming. Las Vegas may not have a traditional four seasons but the residence can still take advantage of this time of year for their Tree Pruning Care. If you miss this time of year it is best to wait until the primary growing season for your tree is done, which would be in the middle of the summer. Pruning is a time offered tradition in the Tree Service. Tree Pruning will remove dead branches, branches with disease, damaged by storms or infested with animals. For Plants pruning will encourage flower or fruit growth. It will maintain desired tree form as well a maintaining dense hedges. Not all pruning is created equal. For example you should not prune the toppings of trees. Don’t remove large branches that can leave stubs and lead to health problems for the tree. This is one of the reasons to call a professional who will prune your tree with its health and well being in mind. Tree pruning is an important part of tree care and can increase the health and live of the trees on your property. Nevada Tree Service takes pride in our our Tree Pruning Service as well as all of our Tree Services. We realize how important our trees our to our environment here in Las Vegas as well as how important your trees are to your property. We only use safe Tree Care methods to preserve the safety of your trees. As we know how important a good shade is here in the Las Vegas Valley during the brutally hot summer months. The Mexican Fan Palm (or Washingtonia robusta) is native to Northwestern Mexico. It was first introduced in L.A. during the 1932 Summer Olympics and has since become popular across the southwest. It is one of the most common palm trees in Las Vegas today. It has a long narrow trunk and can grow to about 80 ft tall. It grows quickly and can grow by as much as 6 feet a year if it is getting proper water and sunlight. 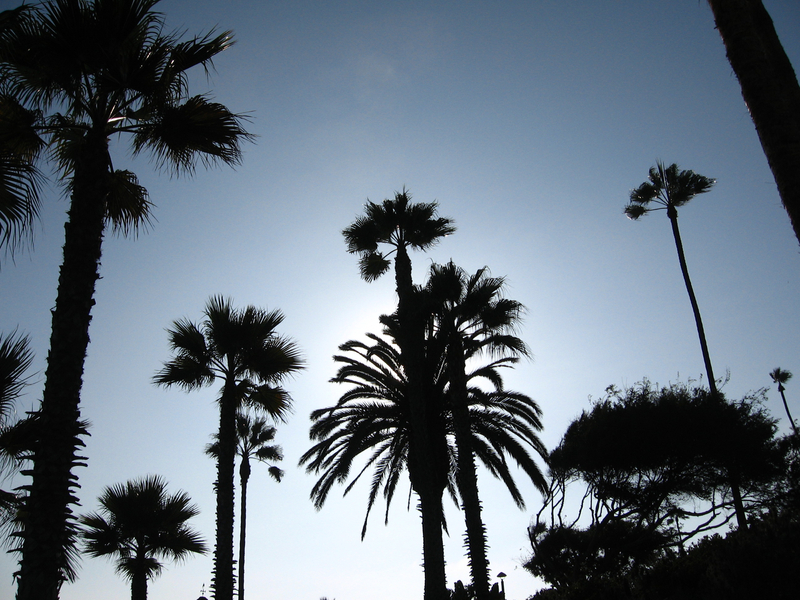 Old leaves should be trimmed yearly, but be careful to never cut new growth on any palm tree. If you have questions about Mexican Fan Palms, or need yours trimmed by a professional tree service in Las Vegas, contact Nevada Tree at 702-433-4700.